When you donate your extra clothes and household goods to UGM, you’re helping the homeless. Donations provide clothing and toiletries for shelter residents and furnishings for those who move into permanent residences. Proceeds from the Thrift Stores support homeless and recovery services at UGM shelters. Thrift Stores provide job training and experience for people who want to work but may be otherwise unemployable because of a poor work history or a criminal record. You can also call 509.327.HELP (4357) to schedule a pickup. As you’re preparing to donate, please look over the collection site hours and list of items we unfortunately are unable to accept. 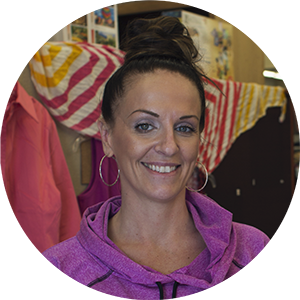 Watch this video and hear Jackie explain why she donates to the UGM Thrift Stores. Click here to learn more about UGM Thrift Stores.